Even though it isn't far from my house to the observatory, the short walk was over grass and the doormat in the observatory sometimes got quite a workout during the wet seasons. 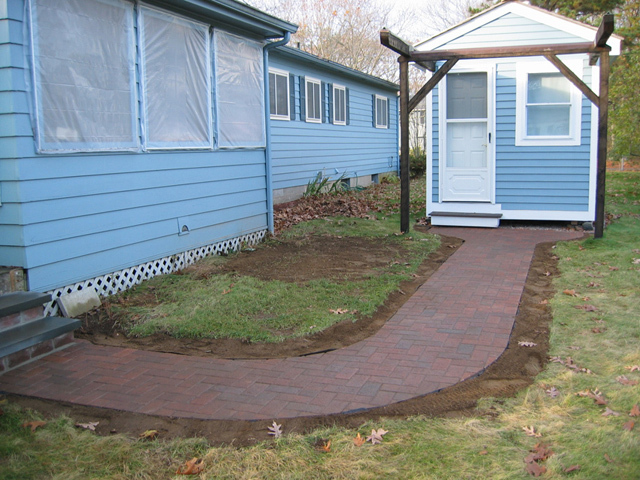 I decided to do a walkway of concrete pavers and to replace the existing wooden deck steps with something in keeping with the new walkway. On the left, you can see where I've excavated down about a foot to an existing packed sand base. 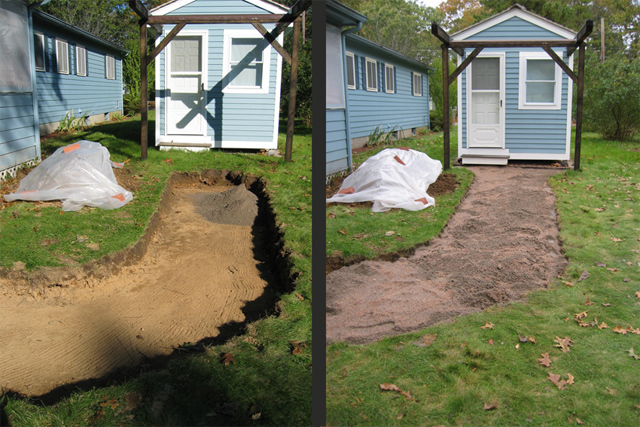 The image on the right shows the excavation being filled with coarse sand that was tamped and flooded in successive layers to form a firm base for the pavers. These are the new steps from the walkway onto the back deck. 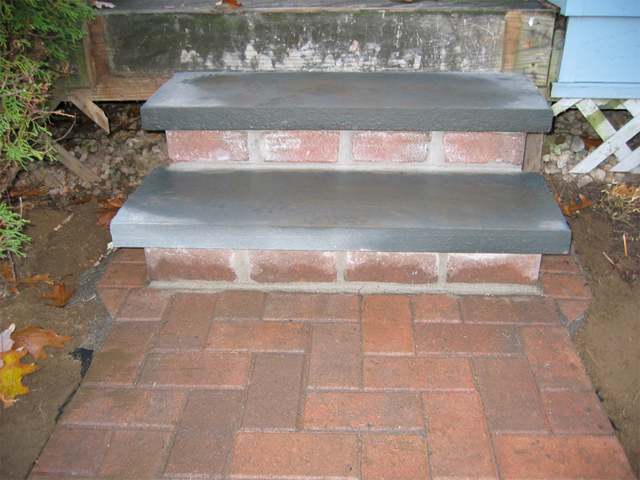 A reinforced concrete pad was poured to provide a stable base for the steps. A gentle curve in the walkway mimics a person's natural path to the observatory, and the flaring at the observatory door provides a generous area of transition into the observatory. A polymerised sand was worked into the joints between the pavers. This helps to lock the pavers in place. The walkway has a slight camber across its width and a gentle lengthwise slope away from both the observatory and the new steps. This helps the walkway shed water. All that's left to do now is to do a final grading and to reseed.